Swiss chard is sometimes described as one of the healthiest foods in the world. Reportedly, in terms of essential minerals, few foods are rated higher than Swiss chard. “(And with the exceptions of spinach and broccoli, none earn as many mineral rankings of "excellent," "very good," or "good" than Swiss chard. )” Swiss chard has significant amounts of critical nutrients which are generally absent in the average American diet, like magnesium, iron, manganese, copper, potassium, calcium, phosphorus and zinc. Each of these nutrients and the important role they play in keeping us healthy are discussed in our book, Minerals: The Forgotten Nutrient. So what exactly is this vegetable? It is sometimes referred to as just chard, and it is a green leafy, cruciferous veggie that is related to the beet and spinach family. Cruciferous vegetables like broccoli, cabbage, cauliflower, kale, arugula and chard, of course, are the veggies that contain glucosinolates, sulfur containing compounds that may help fight a variety of cancers. Chard, also called leaf beet, seakettle beet, silverbeet, spinach beet, perpetual spinach, crab beet and mangold, has wide, luscious leaves attached to celery-stalk like stems (sometimes called “ribs”) that come in a particular color depending on the type of chard you grow or purchase. (In South Africa, they simply call Swiss chard spinach). Ruby Red, also called Rhubarb Chard. Fordhook Giant, has large, thick white stalks and reportedly is the most common cultivar. Lucullus, also has white stalks. Named after Roman general Lucius Lucullus. Oriole Orange, named after the Baltimore oriole bird. There are also chard hybrids, and some types of chard are more thin-stemmed than others. At your local farmers’ market you may come across “Rainbow chard,” which is simply a bundle of different colors of chard. Despite its name of “Swiss chard,” this green is actually native to the Mediterranean region. Reports vary but some say the “Swiss” was added in order to set it apart from the name of French charde or chardon. Some reports say that chard is particularly good at removing minerals from the soil up into its leaves, making it a nutrient powerhouse. (And this is why some recommend splurging on organic chard, but it is important to ensure it comes from good quality soil). 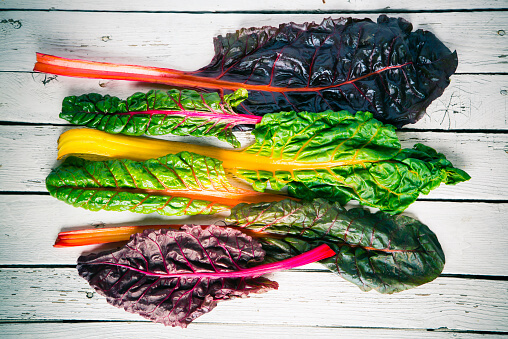 Let’s take a closer look at some of the nutrients and health benefits of chard. Chard may lower your blood pressure. Chard contains high levels of nitrates. Several reports say nitrates from vegetables may help lower blood pressure and keep blood vessels healthy. Just one cup of raw Swiss chard contains 29 mg of magnesium. This calming mineral is widely regarded for its muscle-relaxing properties, which may help people with high blood pressure. Surprisingly, chard also contains a lot of sodium (77mg in one cup). 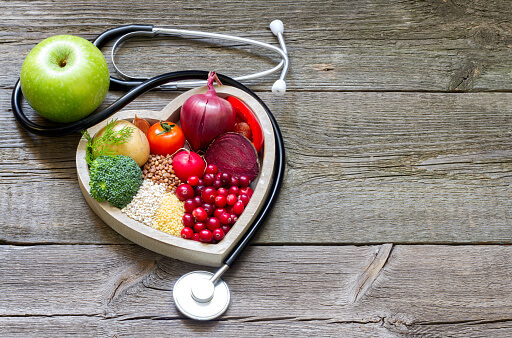 Sodium is often portrayed as something you should avoid at all costs, but the reality is that a good balance of sodium and potassium may help reduce blood pressure. And it is obviously more favorable to get your sodium needs from natural, whole foods like chard as opposed to processed foods like chips and crackers. If you have hypertension or your doctor has told you to watch your sodium intake, speak with him or her first before you add chard to your diet. Also be mindful if you have thyroid issues. And chard does contain a good amount of potassium (136 mg in one cup), making it a nicely balanced green that may keep your blood pressure in check. Chard may help enhance exercise performance. There are certain nutrients and compounds in some foods that may boost your ability when it comes to physical exercise, and nitrates (found in chard) may be one of them. Chard may help regulate blood sugar. Swiss chard contains an antioxidant known as alpha-lipoic acid. There is evidence that alpha-lipoic acid is associated with lower glucose levels and increased insulin sensitivity. Chard may be great for bone health. Chard is super rich in vitamin K. One cup of raw chard has 298.8 mcg, three times the recommended daily allowance! 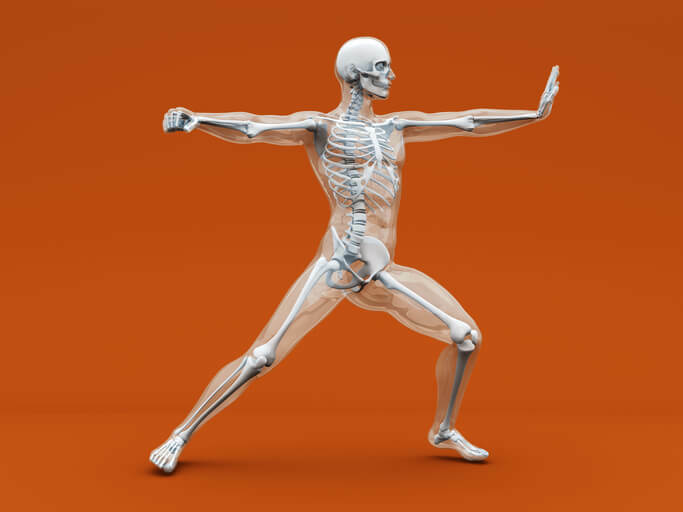 This vitamin may have a positive impact on bone mineral density and decrease the risk of fracture. In addition to this, “[v]tamin K is most commonly used for blood clotting problems. For example, vitamin K is used to reverse the effects of ‘blood thinning’ medications when too much is given,” reports the NIH. So if you are currently taking blood thinner medications (like warfarin (Coumadin)), it is extremely important you consult your doctor before eating chard. Also ask about newer anticoagulants such as dabigatran (Pradaxa), rivaroxaban (Xarelto) and apixaban (Eliquis). These newer medications are not affected by vitamin K.
One cup of chard also contains 18 mg of calcium (which we know is a star mineral regarding bone health), but there is something very interesting I learned about chard through my research. Chard and similar vegetables, like spinach, naturally contain substances called oxalates. “In plants, oxalate helps to get rid of extra calcium by binding with it. That is why so many high-oxalate foods are from plants. In humans, it may work as a ‘prebiotic,’ feeding good bacteria in the gut,” according to one report. But since oxalates are reported to interfere with the absorption of calcium, some sources suggest caution when it comes to eating this green. However, with all of the antioxidants and nutrients present in chard, there is plenty of credible research that says the good outweighs the bad in chard. (Don’t heat Swiss chard in an aluminum pot, as oxalates may cause the pot to discolor). And boiling or steaming chard is said to lower the amount of oxalates. Do you like to grill? You may want to have a side of chard with that. “Swiss chard contains chlorophyll, which may be effective at blocking the cancer-causing heterocyclic amines generated when grilling foods at a high temperature,” according to Medical News Today. And in general, chlorophyll may improve liver detoxification, speed up wound healing and improve digestion. Chard may help preserve cognitive function. 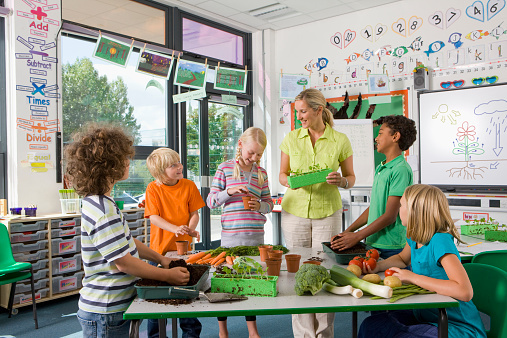 We recently discussed how leafy greens may help keep your mind younger by 11 years! Swiss chard is one of these greens and also contains betalain pigments, which are believed to help prevent inflammation and oxidative stress that can lead to dementia and Alzheimer’s. To check out all of the nutritional value of chard, read here. So how can you prepare Swiss chard? Swiss chard is a very versatile green. Use the fresh leaves in a salad or add to a sandwich. Chard leaves are large and durable, so they are also great for making wraps. Braised chard is delicious, or simply saute chard with olive oil, a little bit of salt, pepper and garlic. Chard is also great in soups, stews and sauces. I am excited to try this Swiss Chard and Feta Salad. This would make a nice lunch to take to work. Do you cook with chard? Feel free to share your tips and recipes of this mineral rich vegetable with us!